A few years ago, I bought a loom for someone as a gift. About once a year, as it starts getting cold out, I borrow it and make something. 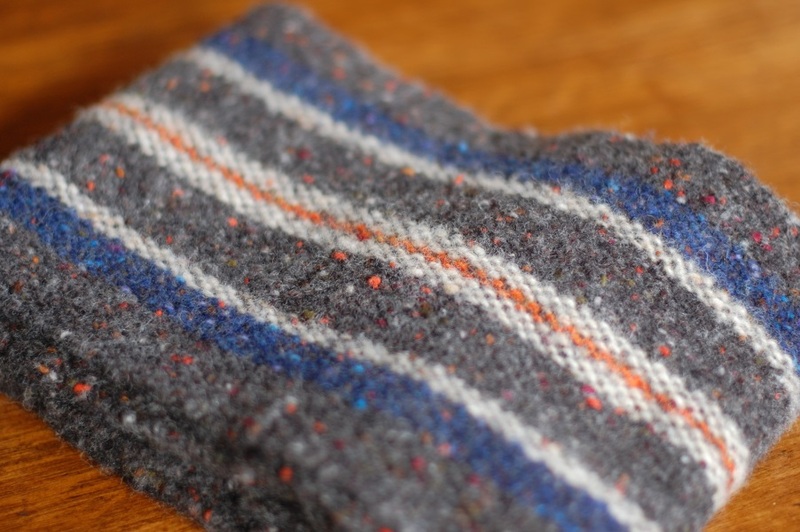 This year, a scarf of Donegal Tweed yarn – felted. I wove this on an Ashford Rigid Heddle loom. It is about eight inches wide and plenty warm. This entry was posted on January 14, 2014 at 3:20 am and is filed under Weaving with tags Donegal Tweed, felting, rigid heddle, weaving, wool. You can follow any responses to this entry through the RSS 2.0 feed. You can leave a response, or trackback from your own site.